Longtime Atlanta resident and veteran broadcaster Mike Sammond has been interviewing local business leaders on Business RadioX since 2013, serving as a host or co-host on several shows from the Gwinnett studio. 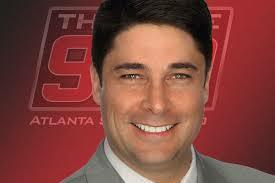 Mike is a former sports anchor at CNN Headline News and sports director at WRBL-TV (Columbus, GA). He has served as a talk show host on Atlanta SportsRadio 92.9 The Game, and is a longtime play-by-play announcer calling high school, college and professional sports, including games for the Atlanta Braves, Gwinnett Braves, Southeastern Conference, and the Arena Football League. He has also been an announcer for the Olympic News Channel in Vancouver (2010), London (2012), Rio (2016), and Singapore (2010 Youth Olympics). 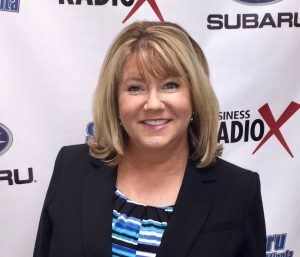 Local businessman Steven Julian has been one of the more popular hosts on Business RadioX since 2013 and is excited to be part of “giving a voice” to local businesses in and around Gwinnett. 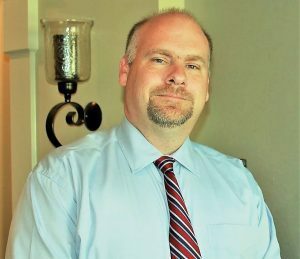 He serves as the colorful and comedic co-host of “Gwinnett Business Radio” and as the “slightly annoying” (his words, not ours) host of “The Tiffany Krumins Show” on iHeartRadio. After a 10-year career in pastoral youth ministry, Steven currently works in the financial services industry when he’s not playing radio. Duffie Dixon is a multiple Emmy award-winning journalist with 27 years of experience in the television business, including 14 years as a news reporter with WXIA-TV (11 Alive) in Atlanta. She is now engaged as a communications and media expert focused on helping businesses and individuals exceed their potential in messaging, presenting and networking. She is passionate about storytelling across multiple platforms including Business RadioX, and she currently serves as the host of the weekly show “Leader Dialogue“. Ashley Mengwasser is a six-time Emmy award-winning lifestyle host, writer and producer. She is best known as the playful co-host of Georgia Public Broadcasting’s popular travel series “Georgia Traveler”. Every spring, she co-hosts “The InVenture Prize” and “The ACC InVenture Prize”, two live televised invention competitions among college students dubbed “American Idol…for nerds”. As host of the top syndicated pet travel special “Pets Welcome Here”, Ashley explores pet-friendly vacation destinations with a very special co-host: her five-year-old basset hound, Rosie. The show broadcasts in more than 60 markets nationwide. Ashley has also served as a television and online spokesperson for several national brands and retailers. Trey Odum prefers to hide behind the scenes as the producer and engineer for many of the Business RadioX shows that originate from the Gwinnett studio. Every once in a while, he might peek out from behind the curtain and you’ll get to hear him on the air. 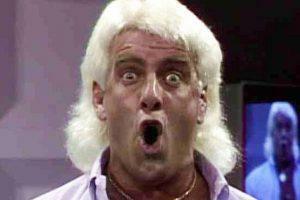 Trey’s proudest contribution is making sure Ric Flair’s signature catch-phrase “To be the man, you gotta beat the man… WOO! !” is played at the end of every episode of “Gwinnett Business Radio“. Mark Galvin – Host of How’s Your ePresence? Tom Vooris – Host of Shut Up and Eat!